If some Tottenham fans were initially concerned about the age of the players that Mauricio Pochettino has brought into the club, they must be bristling with confidence right now. Eric Dier, Clinton N’Jie and Son Heung-min have all coped admirably when fit. But the pick of the flock surely has to be the tireless Dele Alli. He’s been instrumental in Tottenham’s rise to 4th place in the table this season and just keeps getting better. At 19 his potential is frightening and Tottenham have realised that by quickly tieing him down to a new deal. We are delighted to announce that Dele Alli has signed a new contract with the Club which will run until 2021. 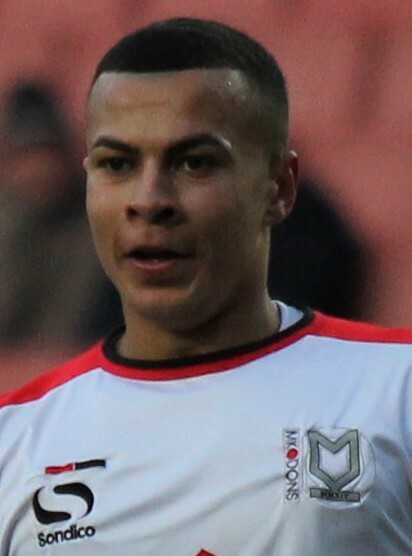 Spurs only signed the player in February 2015 and then loaned him back to MK Dons until the summer. But in a few short months his rise has been nothing short of meteoric – he’s got 5 goals in 25 games for Tottenham this season and four caps, plus a stunning goal, for the England seniors. It’s already hard to imagine the 19-year-old not being on the plane for EURO 2016 and few onlookers would deny him a starting spot in the England team. It’s yet another compliment to Tottenham’s excellent manager Mauricio Pochettino and if he can keep his young guns together we are surely about to see the best Spurs vintage in the last couple of decades. Let’s see some of Alli’s best moments for Spurs.